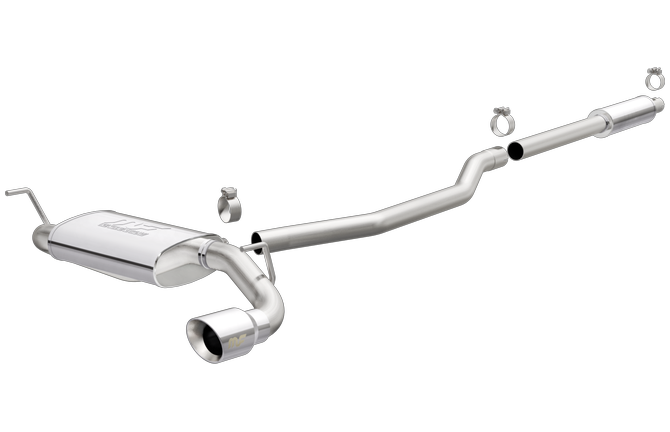 The Magnaflow 19324 MF Series Cat-Back for the Jeep Renegade has a Single Straight Passenger Side Rear exit and Moderate sound level. 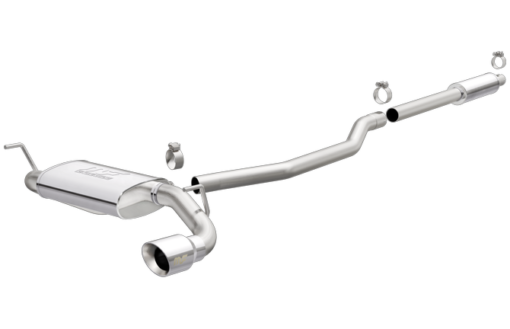 It is a direct bolt-on made of Stainless to provide years of exhaust performance. This system is dyno tested and proven to make power with performance gains in both Horsepower And Torque. They are tuned to give a great sound. The Magnaflow 19324 MF Series Stainless Cat-Back System is easy to install requiring few if any modifications and is designed to bolt directly on. The system will contain all parts needed for a factory-type install.